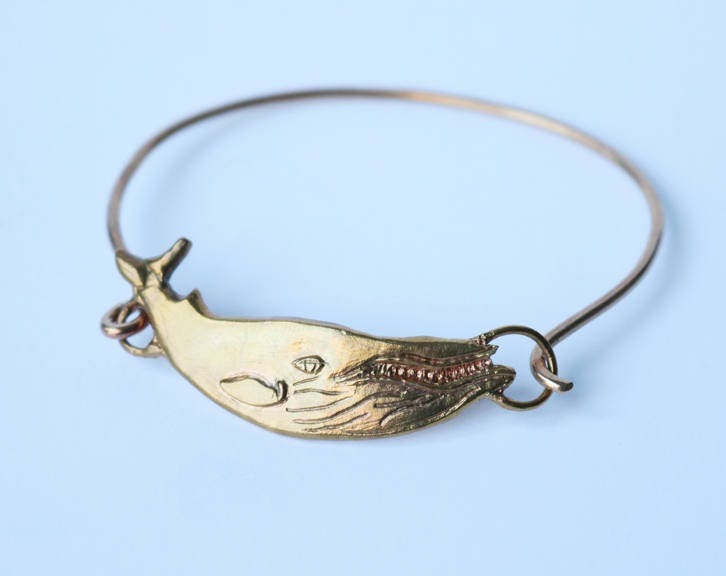 This charming brass whale cuff is perfect for any ocean lover. 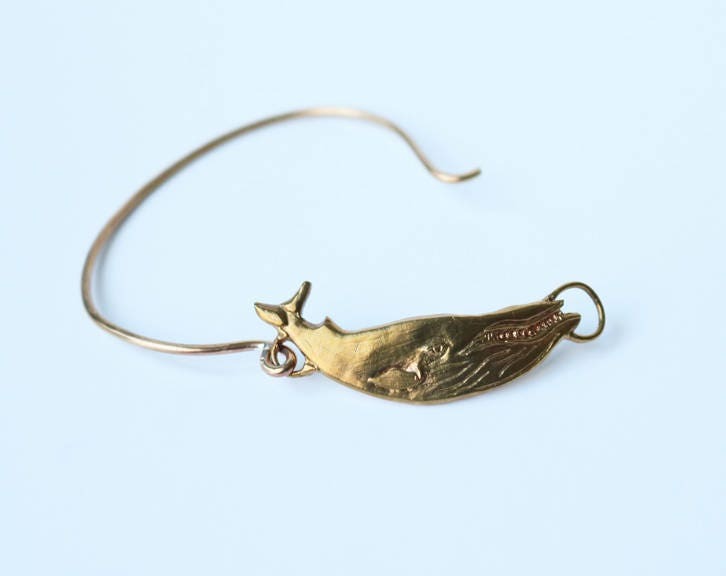 The whale charm was hand carved and cast into brass using the lost wax casting method. Available in adult and child sizes.